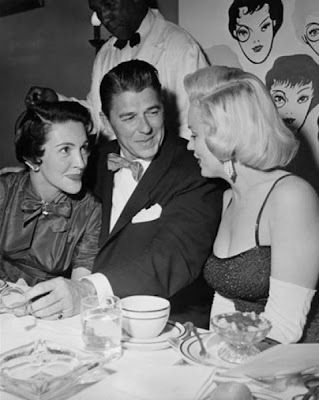 Ronald Reagan meets Marilyn Monroe. Notice how closely he holds his wife Nancy, how his attention is to Marilyn's eyes despite the dress, and how respectful he looks. I don't know if he was like that all the time but that picture really makes him look like a gentleman.